S 1/c Billy L. Carroll, son of Mr. and Mrs. Maurice W. Carroll, attended school in Grandfield; husband of the former Nellie Bowman. 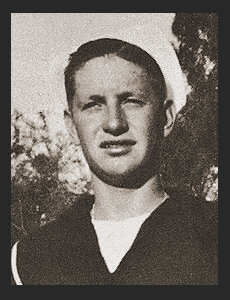 Entered the Navy in Aug., 1944, trained in San Diego, Cal. ; served in Pearl Harbor, Casablanca and in the Atlantic.